Ross is slated to appear before the House Oversight Committee on March 14. House Oversight Committee Chairman Elijah Cummings refused to push back his committee's scheduled March 14 hearing with Commerce Secretary Wilbur Ross, arguing in a new letter to the secretary that the Commerce Department has had "more than enough time to prepare." On Tuesday, Ross requested that the hearing be postponed until April, citing some of the requests for documents and information from the committee. The exchange was one of the most recent clashes between the Trump administration and the Democrat-led House on the issue of congressional oversight. In his reply to Ross on Wednesday, Cummings said his committee would make some accommodations to address Ross's concerns about preparation, but held firm on the scheduled date. "The Committee invited you to testify on January 8, 2019 - more than nine weeks ago - and you have had more than enough time to prepare," Cummings wrote in a letter obtained by ABC News. The Maryland Democrat said the hearing would no longer cover questions about the transfer of nuclear technology to Saudi Arabia, and said that Ross could submit information to the committee about his financial disclosures instead of testifying about them. Cummings also agreed to narrow the range of documents requested about the administration of the 2020 Census. Ross's appearance promised to be one of the highest-profile hearings of the new session of Congress and could make Ross among the first Cabinet secretaries to appear before the House since the new session of Congress. 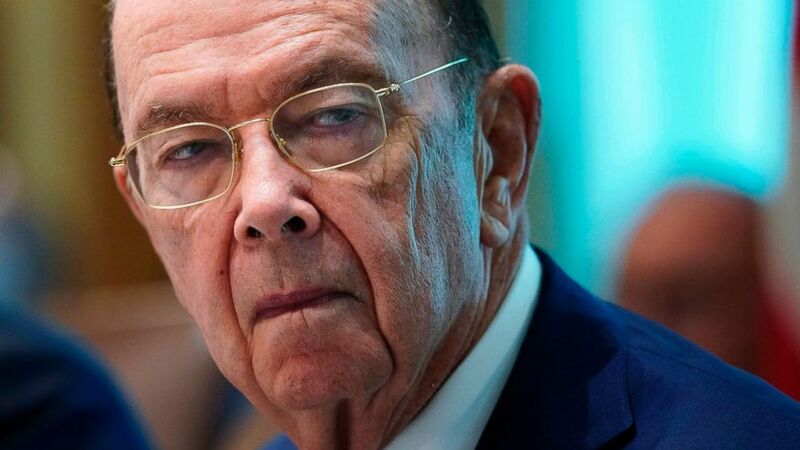 Democrats hope to question Ross on efforts to add a citizenship question to the 2020 census, a controversial move that has prompted legal challenges. Advocates have alleged a racist and discriminatory motivation for including the question. (Mandel Ngan/AFP/Getty Images, FILE) Commerce Secretary Wilbur Ross takes part in a Cabinet meeting in the Cabinet Room of the White House in Washington, Aug. 16, 2018. The original letter from the Commerce Department references a communication from Democrats on the Oversight Committee last month that requested a large-scale document production related to Ross's financial disclosures and ethics obligations. "In the days following our receipt of that letter, it became clear that the Committee intended to expand the scope of the March 14 hearing to ask the Secretary questions about his personal finances and ethics obligations – topics that we did not anticipate nor expect to be covered in such detail and depth based on the frequent and cordial communications between our staffs," the letter reads. Ross still intends to appear before the committee, according to the letter, but the department says more time is needed to produce the relevant documents and prepare for a broad range of issues. The Commerce Department referred ABC News back to its previous statements and did not comment further. "As soon as we receive, in writing, a complete list of the subject matter and scope about which the Committee intends to question the Secretary, my office will work with your staff to confirm a hearing date," the letter said. In January, a federal judge in New York blocked the Trump administration from asking about citizenship in the 2020 census, finding that Ross "violated the public trust" in his effort to insert the citizenship question, calling his decision to do so "arbitrary and capricious." His appearance before the committee also has legal implications for the census cases to be heard before the Supreme Court in April.